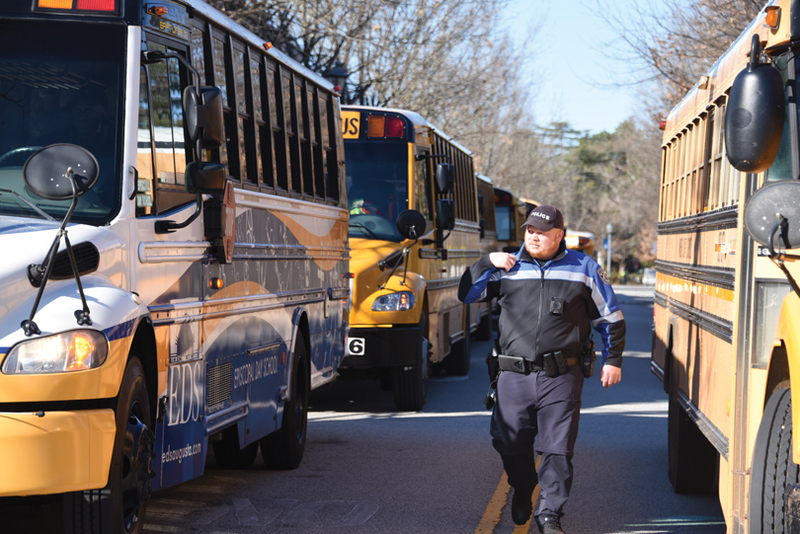 In April 2017, ADT Security Services released its list of safest colleges in the United States, and sitting atop the list of Georgia colleges was Augusta University. Though the ranking is an important validation of the hard work being done by the Augusta University Police Department, Chief Jim Lyon understands that even though numbers don’t lie, they don’t always tell the whole story. Providing that feeling of safety stems in large part from the concept of community policing that Lyon brought with him when he took over his job in early 2016. 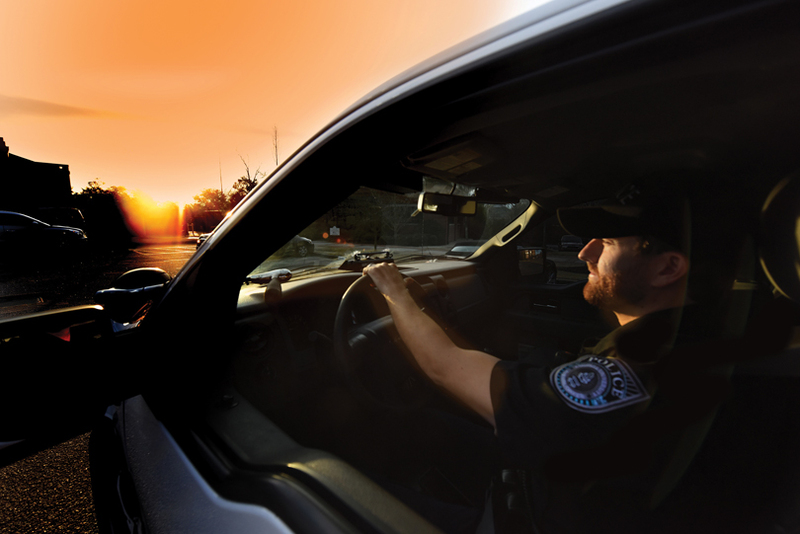 Not only are his officers, who are all P.O.S.T. 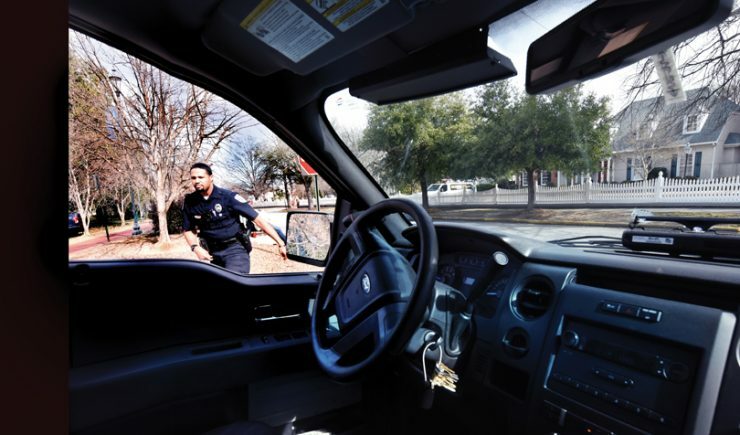 (Peace Operations Specialized Training) certified, engaging more directly with the community, they’ve also received an updated look that extends from the vehicles they drive to the uniforms they wear to the patches stitched to their sleeves. Beyond the look, however, there’s the commitment to meet the community where it is, building trust in the department one positive encounter at a time. 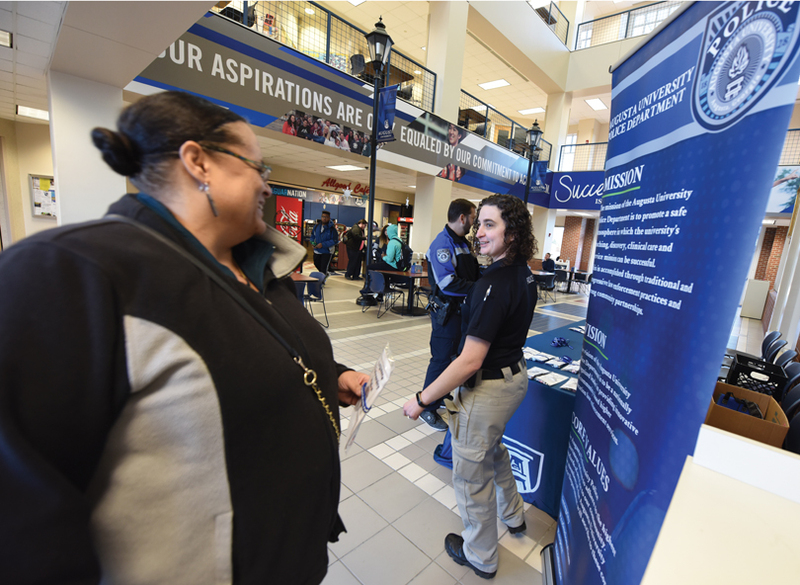 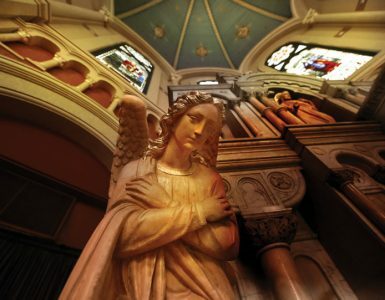 Through specific programs like Coffee with a Cop, which invites faculty, staff and students to chat with officers over a cup of coffee, by increasing the number of foot patrols and by getting out and doing things like presenting safety information at new employee orientation and conducting active shooter training, Lyon hopes the community will begin to see the department as proactive rather than reactionary, guardians rather than warriors. 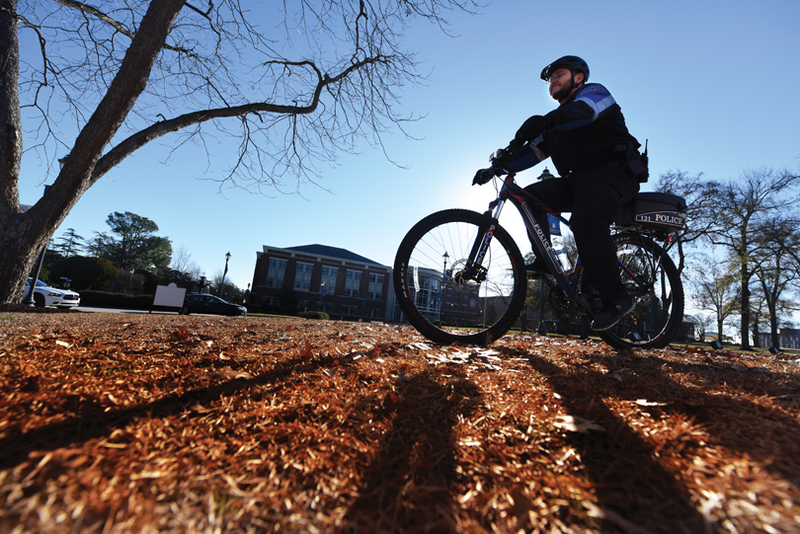 And by adding bike officers, who not only add to the visibility but are able to patrol the inner core of campus in ways officers on foot or in cars can’t, that feeling of protection is even more thorough. 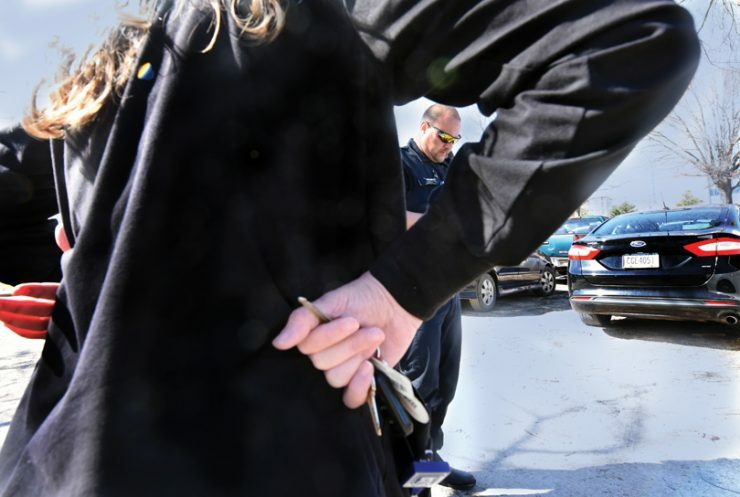 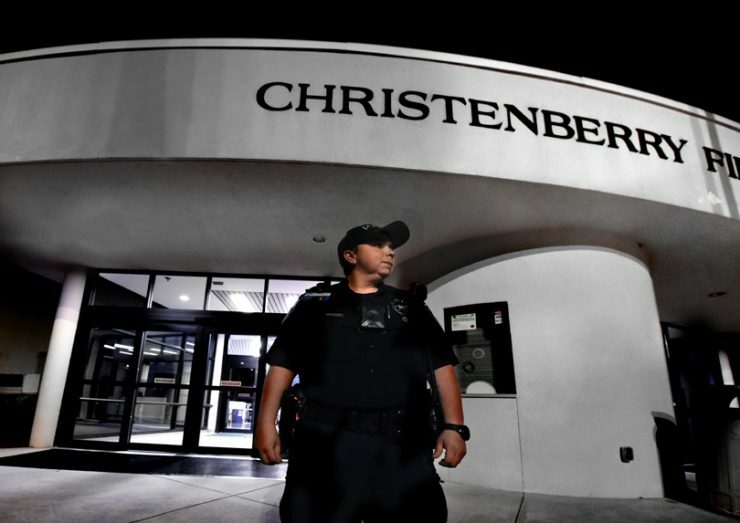 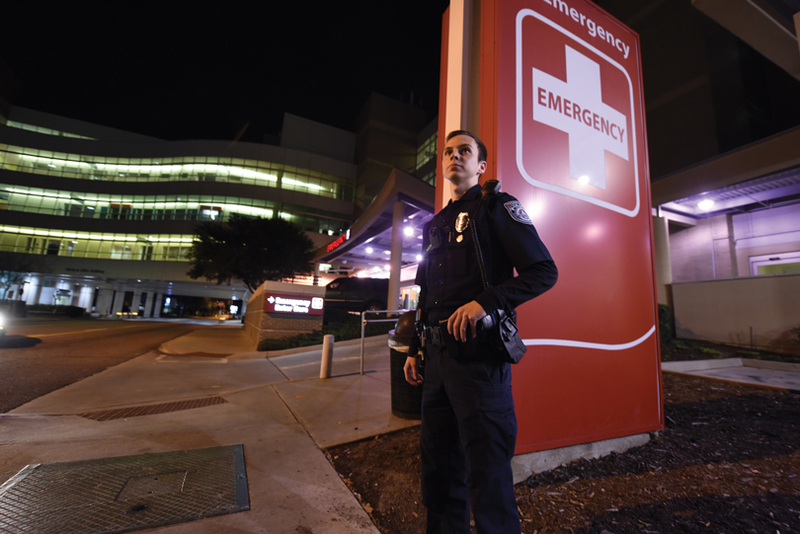 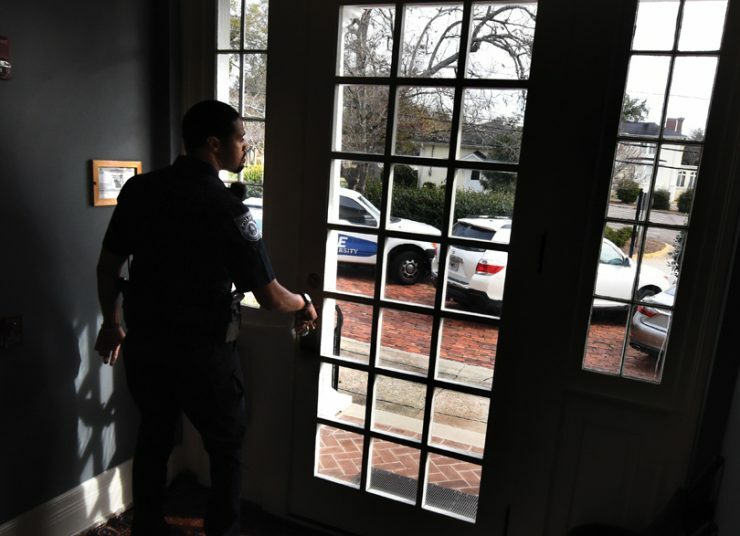 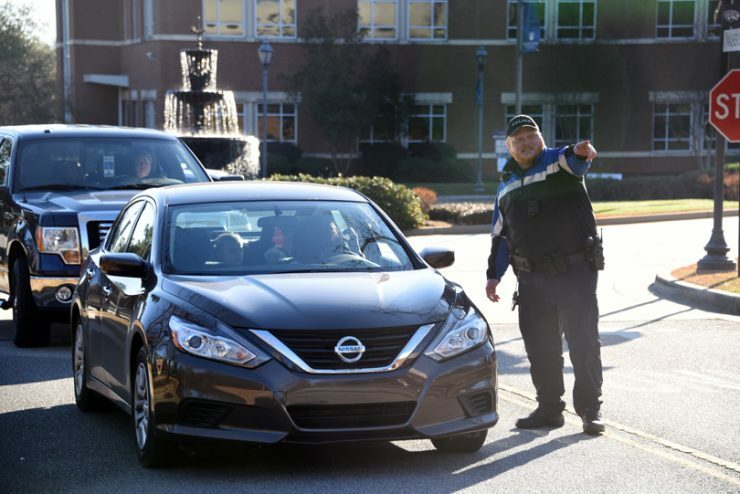 Whether responding to emergency calls, checking to make sure campus doors are locked or providing late-night safety escorts to the parking lots, no two days are ever the same, yet the Augusta University Police Department is ready to handle whatever comes its way.